When you have experienced the loss of a loved one, you can trust us to guide you through the arrangements necessary to create a meaningful ceremony that celebrates the unique life being honored. The caring and experienced professionals at Deaton-Clemens Van Gilder Funeral Home are here to support you through this difficult time. We offer a range of personalized services to suit your family’s wishes and requirements. You can count on us to help you plan a personal, lasting tribute to your loved one. Terry Clemens graduated from Mid-America College of Funeral Service at Jeffersonville, Indiana in 1985. He has been associated with funeral home service since 1983 when he began working for his father-in-law, George Deaton. 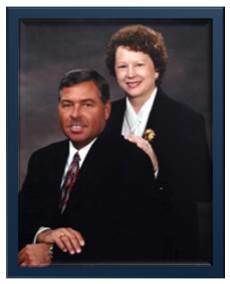 Terry and Julia became owners of the funeral home in January of 1991 after the passing of Mr. Deaton. Terry has remained the sole funeral director assisting families with their funeral services. The funeral home has been in the family since 1965 when it was purchased from Mr. Everett Beige by the Deaton family. Terry married Julia Deaton in 1980 and they have three daughters together. They are actively involved in their church, The Bourbon First United Methodist Church. Terry is also a member of the Plymouth Kiwanis Club.